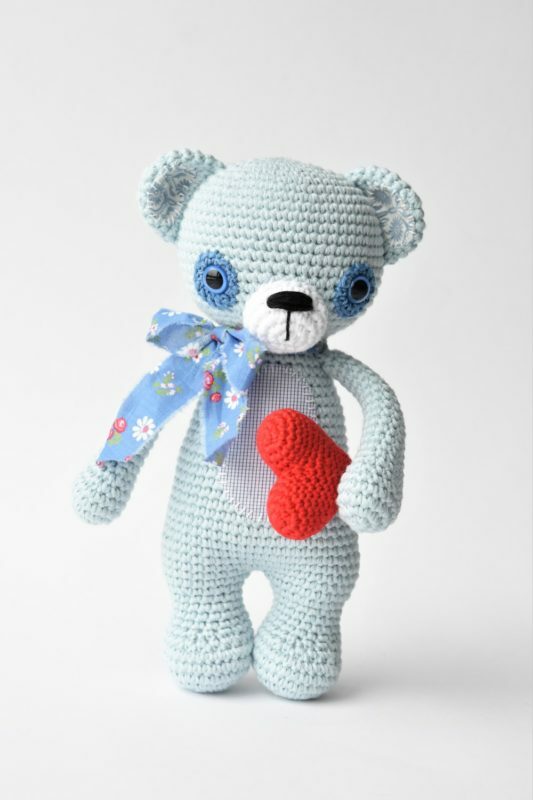 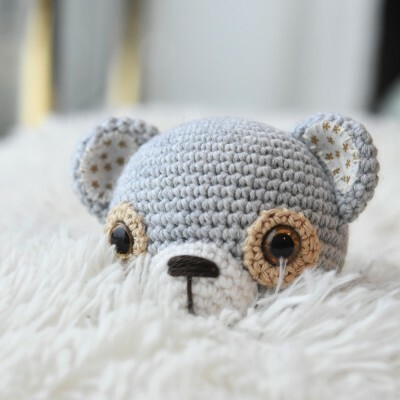 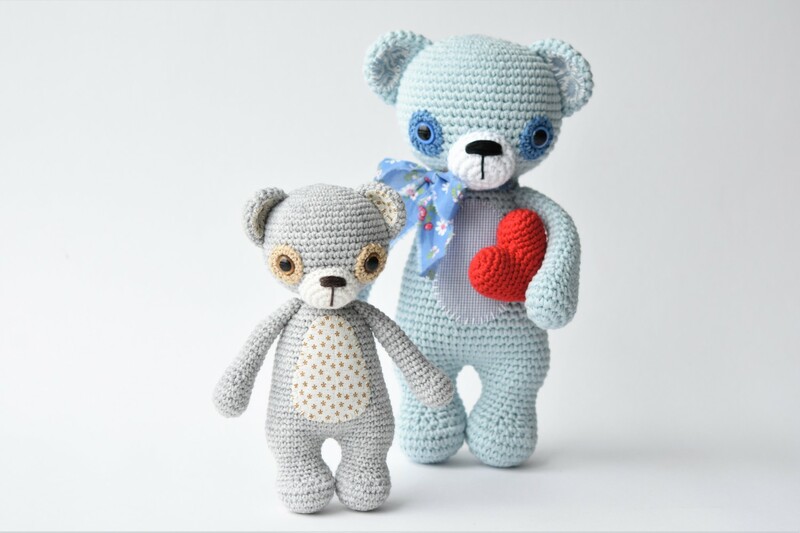 I am happy to show you my February Treasure the Teddy (read about the crochet challenge here). 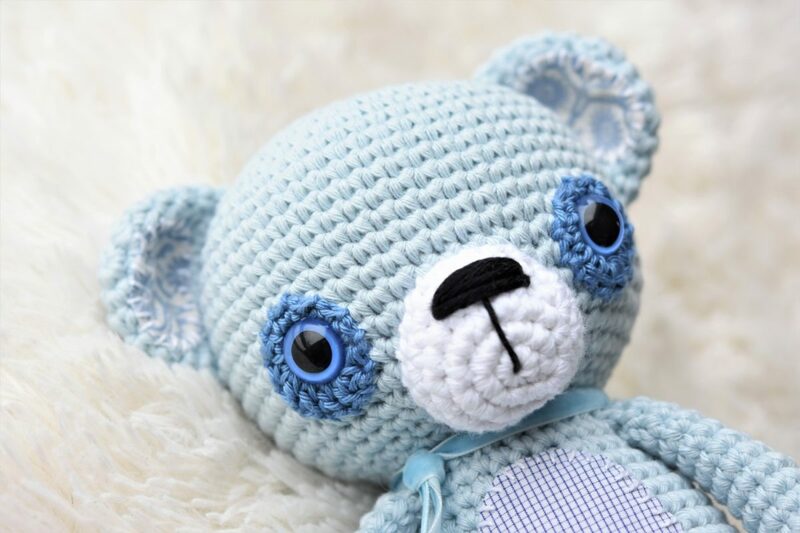 I picked blue color scheme because I happened to have some beautiful light blue shade of Drops Paris. 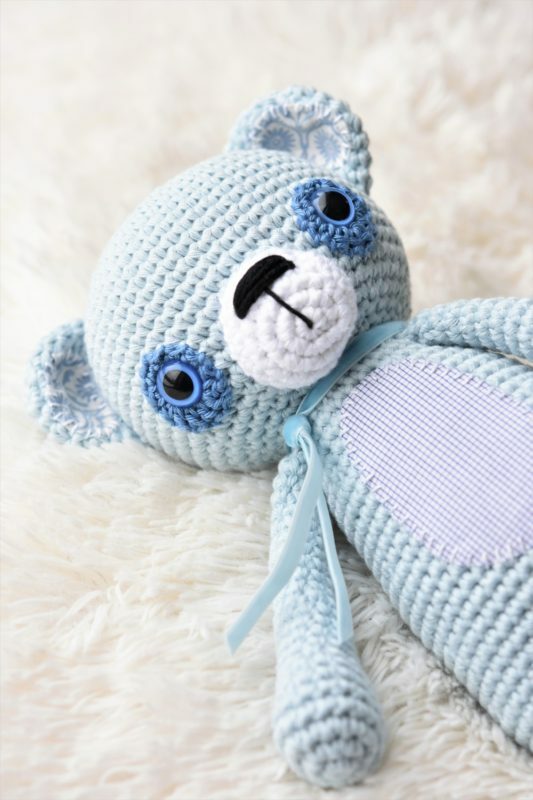 It`s a nice substitute for Drops Nepal if you want to use cotton yarn instead of wool. 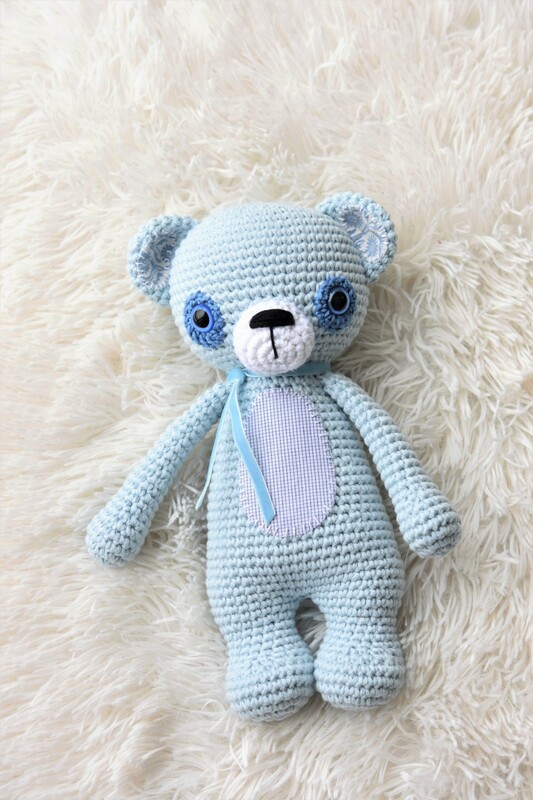 The fabric pieces are from my kids old clothes, so that makes him extra special for me. 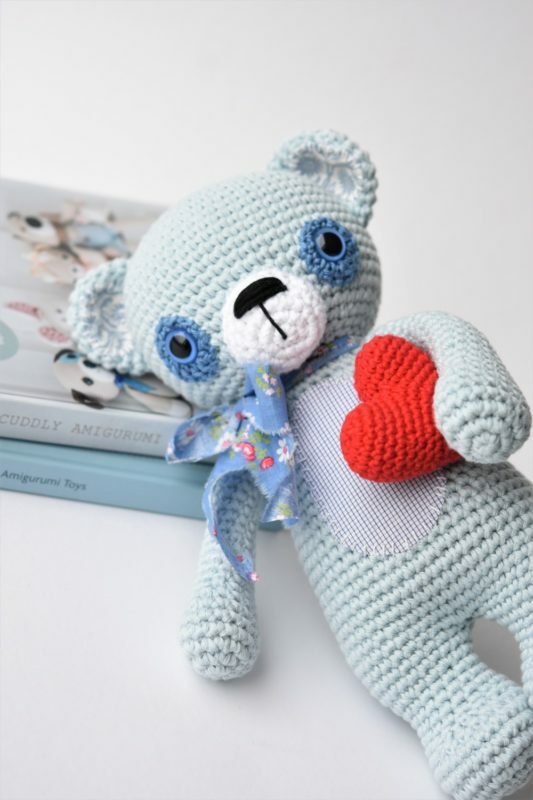 But when I finised him I still wasn`t completely satisfied with the tie around his neck, so I made an alternative version of my teddy using a ripped cotton fabric for the new bow. 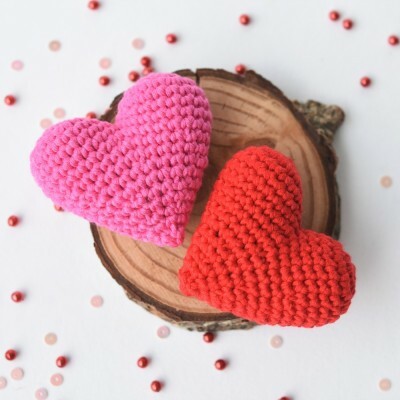 Also I added a Valentine`t heart (find free pattern here).